This army was started at the end of 2016, and finished at the end of last year, with the all the foot options (10 elements) being done first; and the six LCh done just before a Biblical themed DBA day at the AWC. 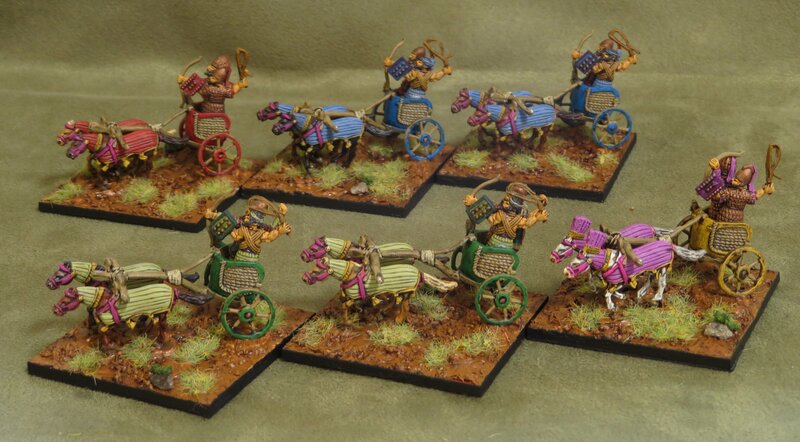 The figures are Chariot figures from Magister Militum and I’m pleased with the way they came out. 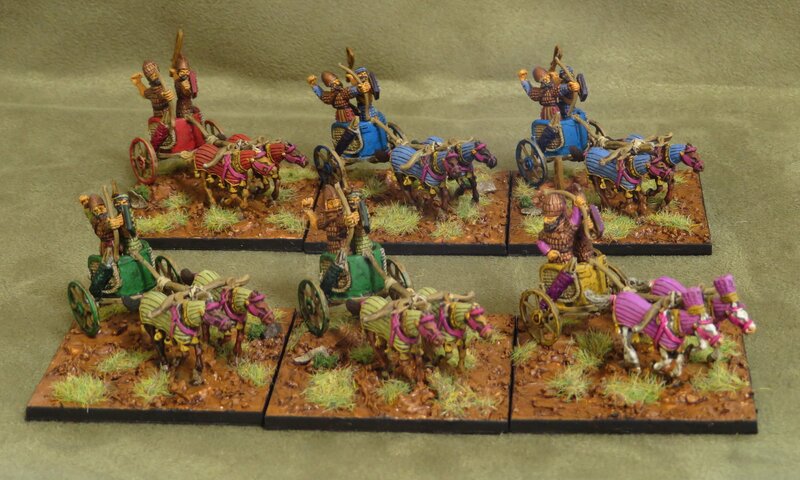 I’ve always liked the way the heavily armoured Mitanni charioteers looked in the WRG book Armies of the Ancient Near East. It’s from that book that I learnt they were the developers of the iconic light chariot and the economy to field them. 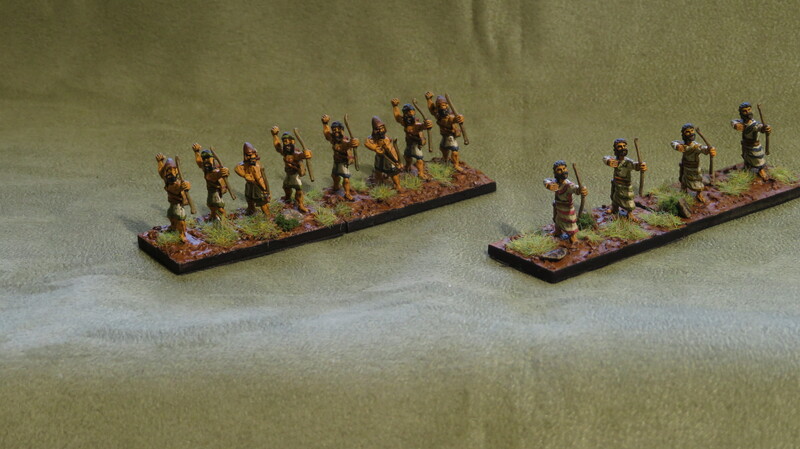 As a DBA army they’re not fantastic, but do look very good. A compulsory horde and bedouin psiloi. Two archers, either 4Bw or Ps. 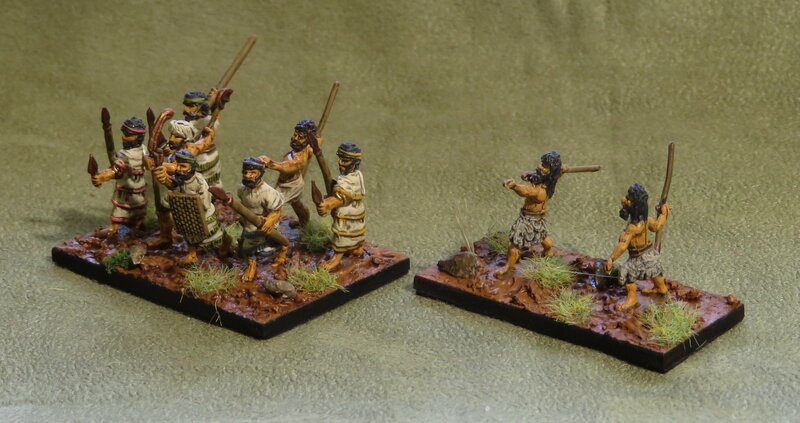 Two spearmen, either 4Ax or 3Ax. 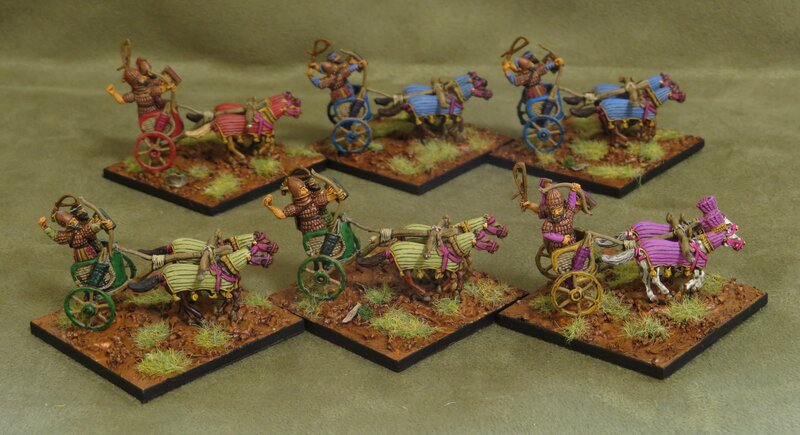 I had the idea to put the chariots on an angle and then have the crew face forward. Unfortunately, there was no room in the chariot to allow this to happen, and now it’s a little ambiguous what the front edge is.